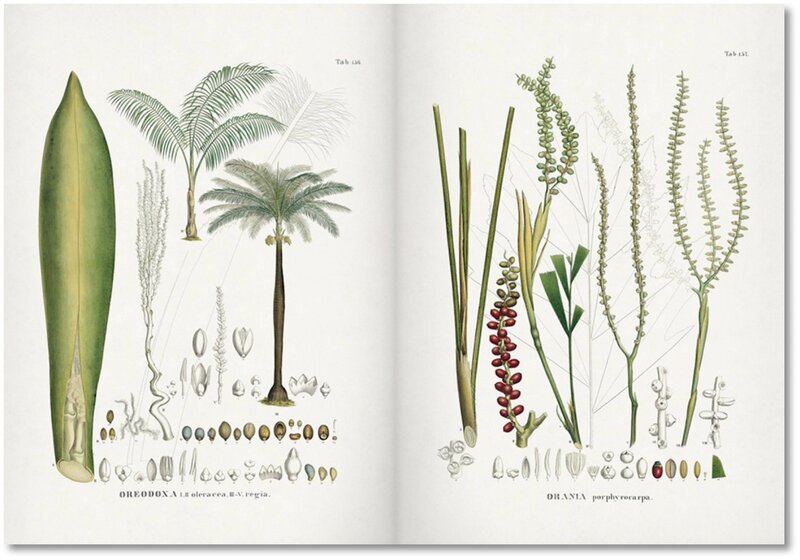 The sturdy yet elegant palm tree comes to life in this enormous work of botanic illustration and taxonomy, first published between 1823 and 1853. 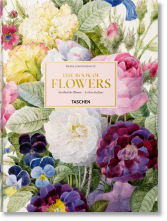 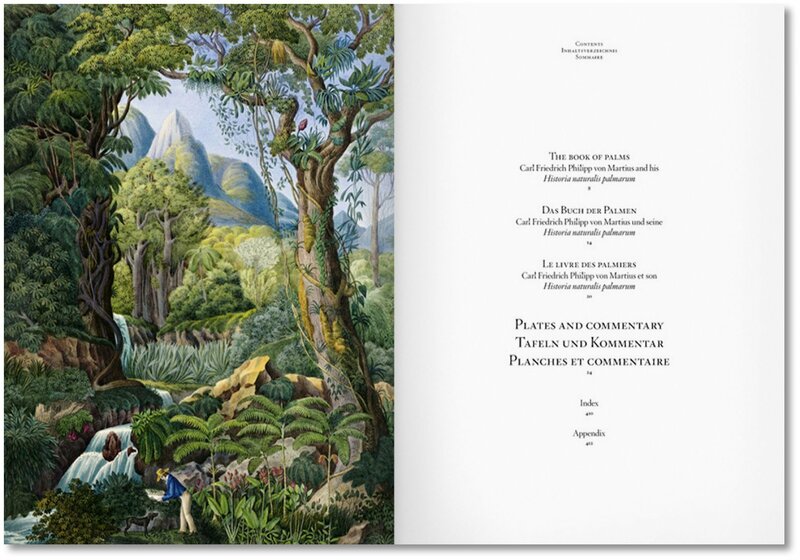 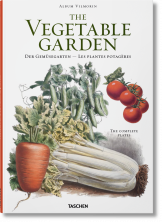 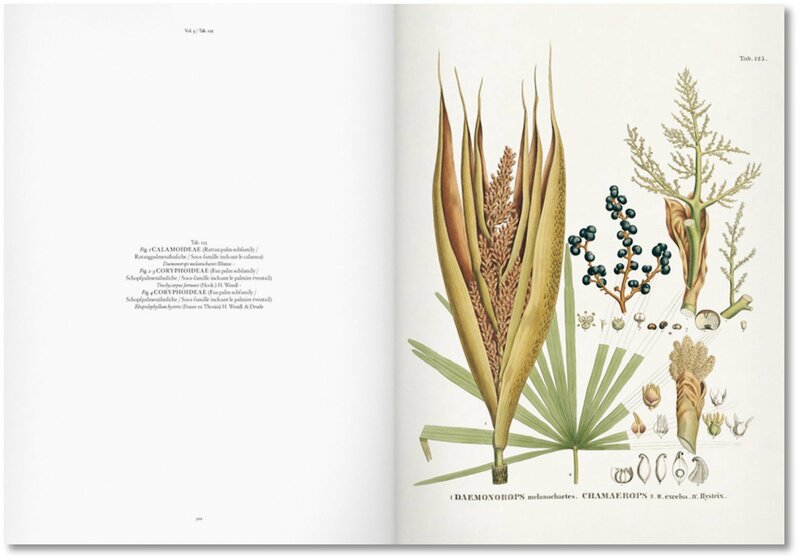 The masterpiece of Carl Friedrich Philipp von Martius, it contains a plethora of visual information on the plant, including beautiful chromolithographic illustrations of fronds, seed pods, and bark samples, landscape views of palm habitats, and fascinating cross-sectioned diagrams. This epic folio was based on Martius’s expedition to Brazil and Peru with zoologist Johann Baptist von Spix, sponsored by King Maximilian I of Bavaria, to investigate natural history and native tribes. 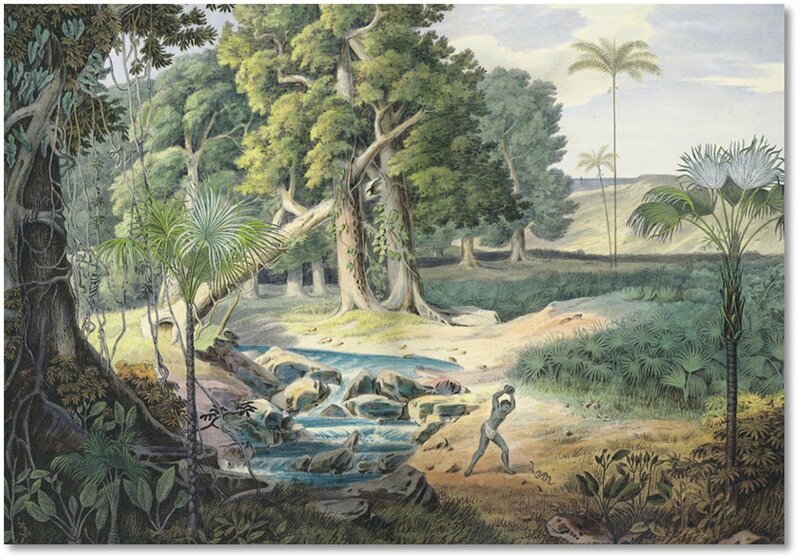 From 1817 to 1820 the pair traveled over 2,250 km (1,400 miles) throughout the Amazon basin, the most species-rich palm region in the world, collecting and sketching specimens. 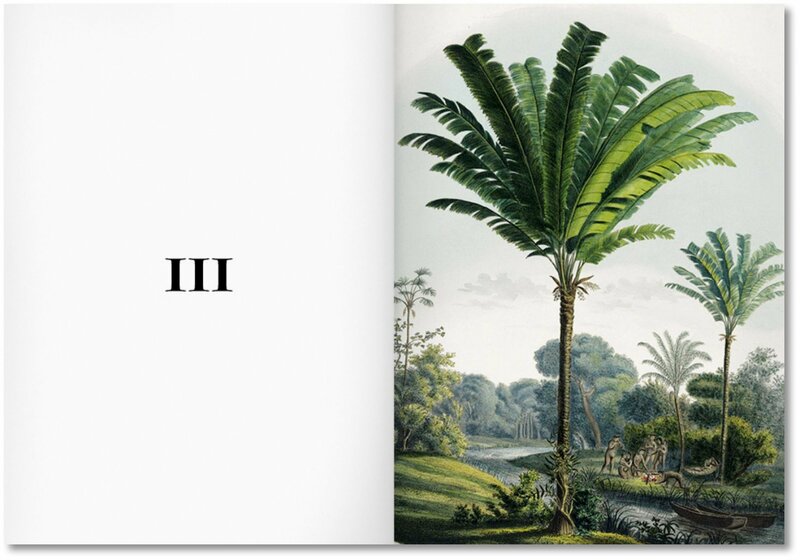 On their return both men were awarded knighthoods and lifetime pensions. 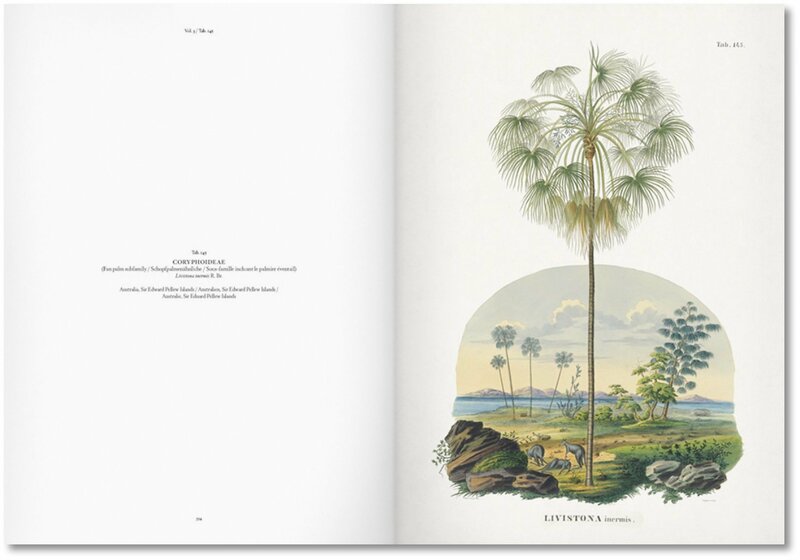 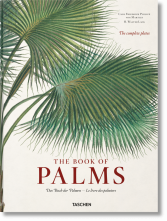 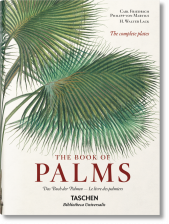 In his epic work, Martius outlined the modern classification of palm, produced the first maps of palm biogeography, described all the palms of Brazil, and collated the sum of all known genera of the palm family. 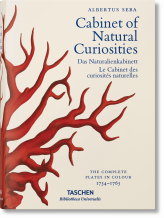 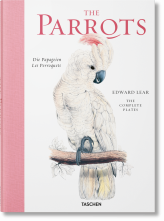 For apart from his own collection of specimens and notes, Martius also wrote about the findings of others. 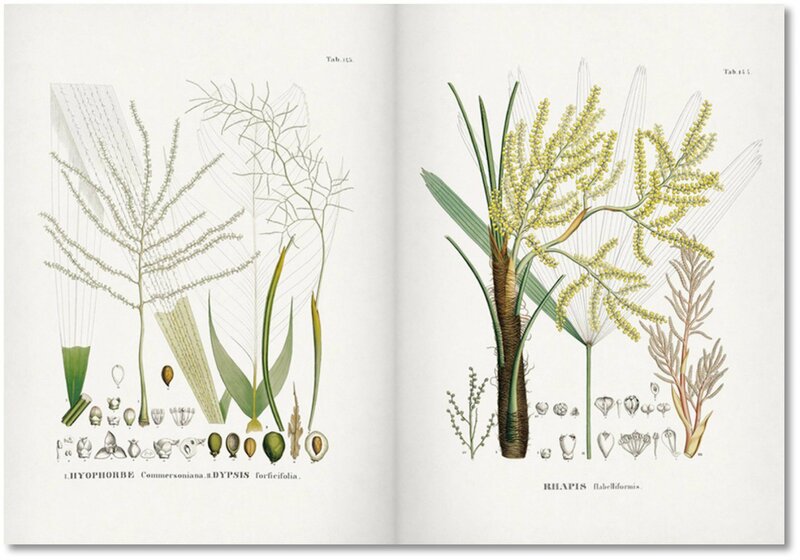 Martius’s folio is unusual in its inclusion of cross-sectioned diagrams, conveying the architecture of these mighty trees, which central Europeans would have found hard to imagine accurately. 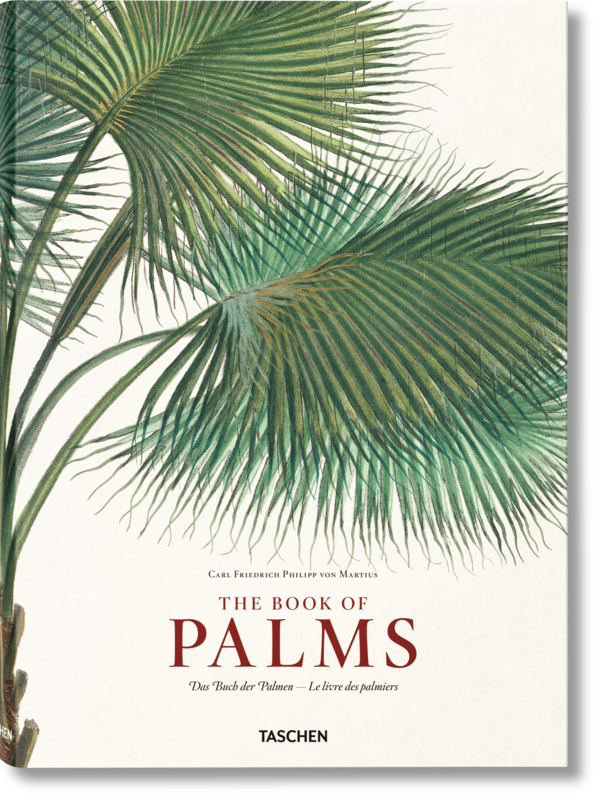 Equally remarkable are the color landscapes showing various palms—often standing alone—which have a simple and elegant beauty. 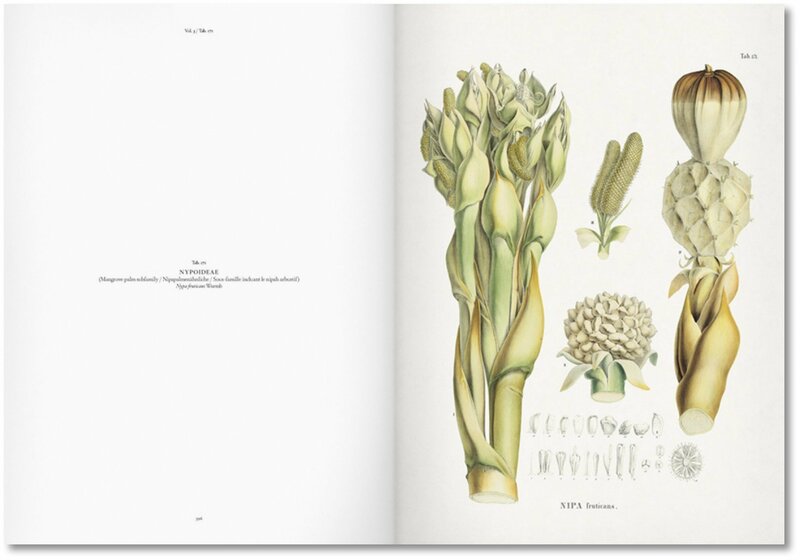 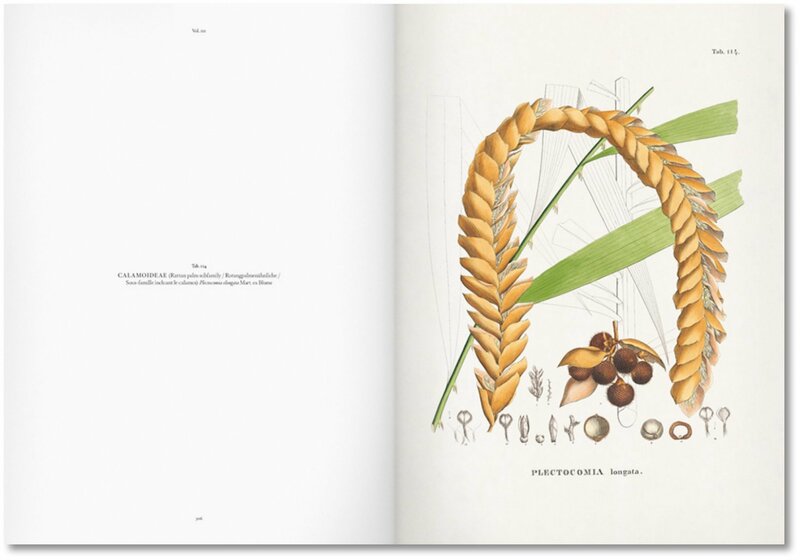 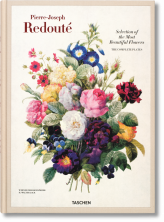 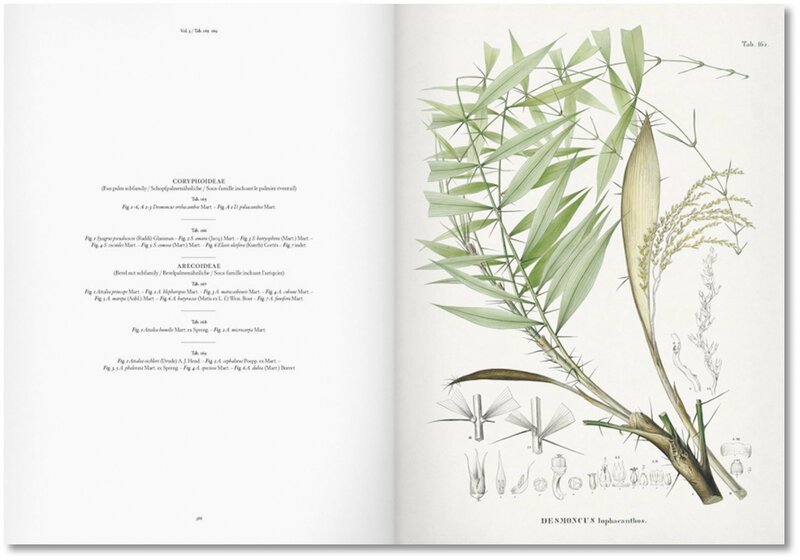 This famous work is an unrivaled landmark in botanic illustration and taxonomy.